Minister Nzimande to meet with PRASA - SABC News - Breaking news, special reports, world, business, sport coverage of all South African current events. Africa's news leader. Khanyisile Kweyama was hijacked last week near her home in Johannesburg. 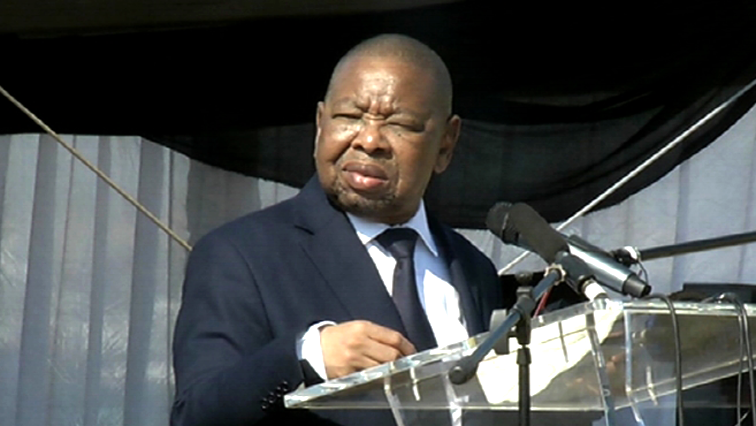 Transport minister, Blade Nzimande has asked for an urgent meeting with the PRASA Management and Board to discuss the incident during which the Railway Gagency’s Board Chair, Khanyisile Kweyama was hijacked last week near her home in Johannesburg. Nzimande has called it a “scare and intimidation tactic” against Kweyama because of the sterling work she is doing and the progress she and her Board are making in turning PRASA around. Kweyama says the two hijackers bundled her into the boot of her car and drove around for over three hours before dumping her and the car in Katlehong in Ekhurhuleni on the Gauteng East Rand. She says the incident has left her traumatised. “I’m still in shock you know you are in a boot for about three hours and you have no idea what’s going to happen. At some stage these guys I think, I don’t know if it was a gun because I could not feel it but they cocked. They said they are cocking a gun and if you don’t behave we will shoot you. I’m still struggling to sleep because if I close my eyes I can see these guys face. I’ll get over it,” says Kweyama. This entry was posted on 08 Jul 2018,06:36AM at 6:36 AM and is filed under South Africa, Homepage Featured Story Slider. You can follow any responses to this entry through the RSS 2.0 feed. Both comments and pings are currently closed.